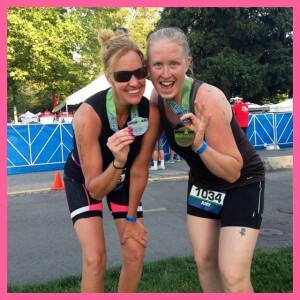 I recently had the pleasure of talking to Amy Rosendahl, Joe Stone’s fiancé, about some amazing life lessons she learned while training for the upcoming IRONMAN Coeur d’Alene, which she’ll attempt on June 28, 2015. In 2009, Amy had little to no running experience. She started setting bigger and bigger goals in the next few years, running five marathons and a few sprint triathlons. 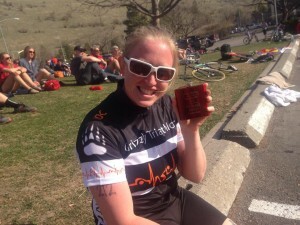 Just last year, she completed her first 70.3-mile Half IRONMAN in Boise, ID. 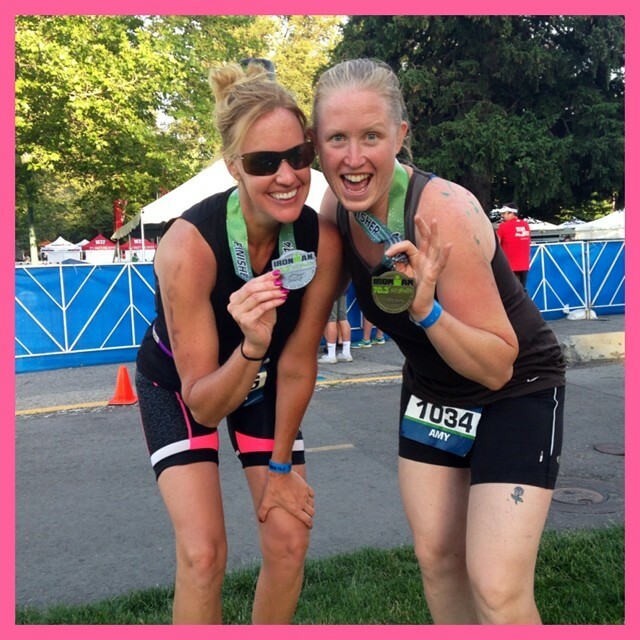 Through her experience supporting Joe in his IRONMAN attempt in 2013, Amy gained a full appreciation for the dedication, hard work and determination required to accomplish such a feat and decided to give it a try this year. For the past eight months, she has committed to a strict six day a week training regimen as she prepares to swim 2.4 miles, bike 112 miles, and run 26.2 miles — all within 17 hours. Through this challenge, Amy has learned a lot about what it takes to successfully train for and continuously move towards accomplishing such a large personal goal. The process has revealed many incredible secrets and breakthroughs that can be applied to all areas of our lives. Here are Amy’s top five life lessons learned while training for an Ironman. Find what you’re passionate about and pursue it — love what you do and you can accomplish anything. Always set a bigger goal — be proud of your achievements, but keep trying new things. The sky is the limit! With the right training and mindset, you can do anything. Push through your mental blocks — don’t give in to the voices in your head telling you to quit when the going gets tough. That said, be smart and know your limits. Don’t allow the skeptics to stop you — don’t listen when others tell you your ideas are too crazy. Even if you fail, it gives you the opportunity to find a different way to accomplish your goal. Be patient — know that if you put in effort, everything will turn out the way it’s supposed to. UPDATE: On June 28, 2015 Amy successfully completed her first full IRONMAN triathlon. She covered 140.6 miles in 15 hours, 51 minutes and 20 seconds pushing through temps as high as 105 degrees! We are very proud of you Amy! Congratulations! 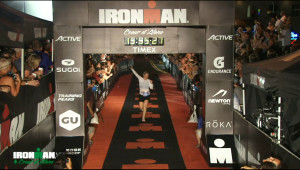 Amy Rosendahl crossing the finish line at IRONMAN Coeur d’Alene, ID.